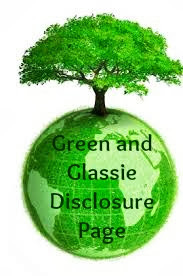 Green and Glassie: How to Make a Road Trip Fun? How to Make a Road Trip Fun? So often I am asked "How in the heck can traveling with three kids be relaxing?" We discuss our route - miles we are traveling and time it will take us to get to where we are going. The number of days we have to travel. We decide on where to stop for the night and the hotel we will be staying at. When we are finished with our planning we know where we are going, how long it will take us, where we are stopping and our plans for each day. In the planning process we take votes on what to see and where to go. Ensuring that each of us is doing something that we wanted. Before we leave we take a day and do our snack and food shopping. We plan our food & drink menus for the trip. We each pick items for the group. We know how many drinks each person has per day and the amount of snacks. We have learned that nothing hurts a fun time more than when one of the group has eaten all the snacks or drank all the drinks. We also buy a couple cases of water for the Jeep. We pack our Jeep Survival Bag with all the items we will need. In the Jeep everyone has their spot. I am the driver. Caleb being the oldest he is the co-pilot - in charge of tolls and changing the radio. Isa is our map/sign girl and Davey is the food & drink guy. Every trip we take a paper map - I think learning how to use a map is key to a successful trip. With the map it is fun to listen to them work together to make sure we are on the right road. I always tell them ..."Work together so we are not LOST!" We always have picnic meals - being out of the Jeep goofy off we think is key to happy travel. No way are we sitting hours in the Jeep then having to behave in a restaurant. This is our time - the kids play and adventure around while I enjoy relaxing. What is nice is some of the newer rest areas have outdoor fun equipment for kids. Our meals are simple - sandwiches - chips - fruit and veggies. Every meal has a simple dessert. Everyone is responsible for making sure the items are back in the Jeep when we are finished at the rest areas. I keep three envelops in my purse. I hand out their money. I will discuss a purchase with them but they know it is their final decision. They also know that they will NOT get anymore money for the trip. They have learned to spend their money wisely. Only one suitcase and one bag per person. Only two pair of shoes per person and they MUST fit in your bag or suitcase. Take your turn - I promise them all we will do our best to make sure we are all getting to do something we want. We discuss almost everything. No one is a LONE RANGER ~ we work as a TEAM. Pictures - they are all responsible for picture taking. They have phones and iPads. You are responsible for your own stuff. Keep your clothes in your suitcase - dirty clothes in the dirty clothes bag. We all pack the Jeep. Drinks & food is behind Davey. Map is in Isa's door pocket. Radio rules - we take turns - 30 minutes for each person. Starting with the youngest first. Davey & Isa share the charging station in the back seat - Caleb & I share the front charging station. I know these may sound like a lot or rules to some - but I honestly think they like the rules. They know what they are responsible for and they are in control. They are fast to remind each other if anyone forgets a rule. Even ME! When we go on road trips, we take our time and play lots of games. Oh, then there's the kids electronics. These are great tips. And, yes! ONE bag! It's a road trip, not a week long gala. We always plan to stop at attractions along the route too. We have seen some cool stuff that way. Sound advice for traveling families! I know their trip will be a little easier thanks to your post! These are great ways to keep your sanity when traeveling with kiddos! lol For me, I just have to remember that it's usually a vacation...so go with the flow. I don't over extend our schedule or stuff it full of crazy timelines. We go with the flow...and that helps keep everyone happier! Meal & relax times are very important. I also love the rule about everyone going to the bathroom when at a rest stop. These are definitely some good ideas. It can get frustrating traveling for long distances. I think being prepared is probably the best way to make a road trip fun. Lots of games, movies, and snacks on hand so no one gets bored or hungry. I like all your ideas. When my parents took us on long road trips we would stop at rest stops for lunch. We go on lots of road trips with our four kids. We do the assigned seating to. I will have to implement the allowance of funds for the trip. We are road tripping to BlogPaws Nashville next week and these are great idea. Great timing for me for sure. Really all great tips here. We are planning a road trip this summer and I'll be using some of these same guidelines. Being more flexible and allowing the kids to do different things maybe breaking the rules a bit. Like staying up a bit later. We always loved traveling with our kids but, yes, it could definitely be challenging at times. And I don't know if I would use the word "relaxing!" These are great tips! People seem to have a love/hate relationship with road trips, but they can be fun and educational (and even relaxing) when done right! Great tips. I allow the kids to each choose a movie from the $5 bin and a couple coloring books. The new items keep the kids happy and entertained. I love that your number one rule is no arguing. awesome! Are we there yet? Are we there yet? Are we there yet? Ugh.... I still hear that in my head even after all the kids have grown and moved out. Such great memories are made on long car rides! Even with the are we there yet question! Really great tips! This is just awesome tips and advice. Good looking bunch you have there. These are great tips and rules! I love that you guys clear everything up right up front. It definitely cuts down on the questions (and complaining). I haven't done any travelling with my kids. Thanks for the great tips. These are great tips! I have to say that traveling with kids makes me a nervous wreck! They can be so whiny but maybe with these ideas I can make it better. When I was younger my parents would always take little side stops when we would travel back and forth between Oklahoma and Michigan every summer. So many wonderful memories. I think it also important to have rules. It helps to have boundaries. Sounds like you've got the road trip mastered. Those are great tips and tricks. Now that my kids are a little older, road trips are a realty. With a toddler and an infant road trips scare me, I drive at night just hoping against hope they don't wake up, haha. 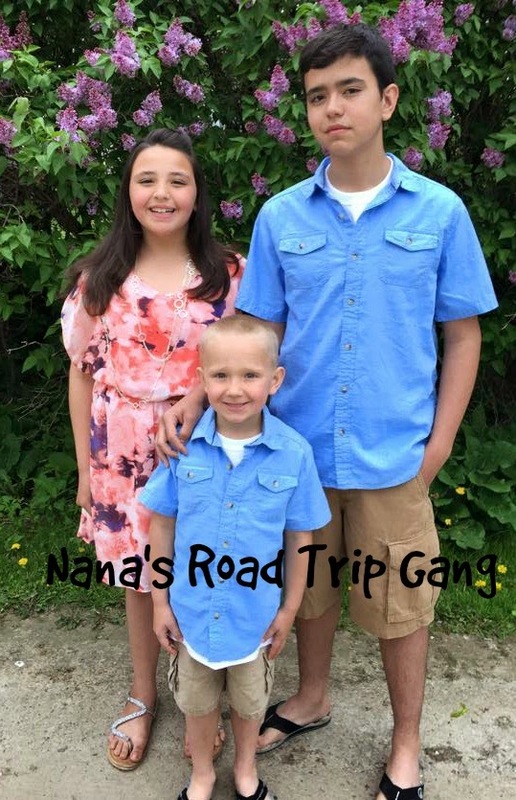 These are some great tips for surviving a road trip with kids! 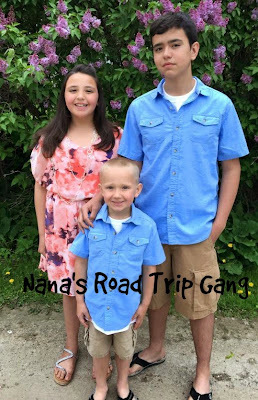 We are going to attempt some trips this summer and this will help make them so much better! These are all some great tips. Road trips are so much more enjoyable when you think and plan ahead of time! I love all of these road trip rules. Especially the one about sticking to their a lot of talent during the trip. Road trips can really get expensive, buy souvenirs and everything. Isn't it fun to use a map with the kids? With all the GPS and Google Maps we all use, maps get so lost. I think they're actually very pretty, and the kids think they're fun! My parents live three hours away from us so we have done a lot of road trips over the years. I always made sure we had a lot of snacks and things to keep the kids busy. Planning and prep is so important for road trips. I cannot wait to do a road trip with our kids. Trip allowance is awesome. Great ideas, our kids are still small and sleep a lot! We play games and create new playlists to rock out to!